Antique Light Blue Oak. The soul of tradition. Long Island expresses certainties that only guaranteed materials and consolidated traditions can give. 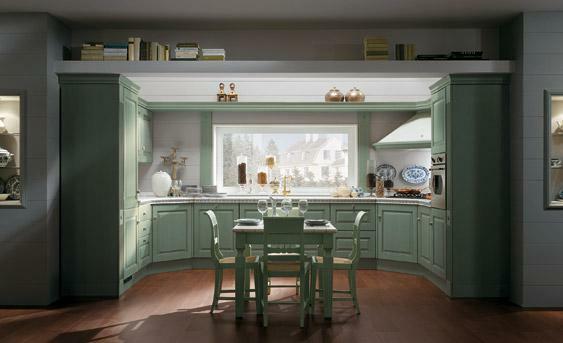 The antique Light Blue oak wood kitchen in the Absolute Classic collection uses new methods to re-create, to the highest standards, all the mood of serene security that hand-built kitchens used to provide.